One day about 30 years old novice monk visited the Bhikku who writing this. He was very agreeable. Came from long distanced temple. He says he likes to try meditation in jungle. This Bhikku asked him, whether he spending his temple life according to Dhamma now. He said that, with the ordinary life among the Sunday Dhamma school, meritable occasions of people, he cling to the ordinary life. He respect and honor his chief bhikku very much. Only he and his chief bhikku is staying at that temple. This bhikku advised him to become a good temple monk first. Make a good devotion at Noble Triple Gem. Protect the virtue. Then you will become a good temple monk. Do all the works of Dhamma school and meritable occasions of people who alms to the temple without clinging. Care and honor the old chief bhikku well. When seeing your virtue and behavior comes from the virtue, people who alms to the temple will say "our small monk is very good". See every figure which make you pleasant as impermanent. Make the fear for cycle of rebirths while insigting every figure. There you can make your own temple as a placid jungle to meditate. Writing here is the way to go to the jungle to meditation to a novice monk who stays in a temple. Give the first to the virtue. This virtue is helping in the jungle to grow concentration inside the jungle. When doing something with lay people do it as you looking at a cliff with set aside your body. Nibbana is neither on jungle or temple. It is in the extinction of attachment, conflict and equanimity. But come to this awakening jungle will more helpful. Lord Buddha identified the wrong from misdoing of the recent monks and ordain points of disciplines to keep the Dhamma safe for long time. 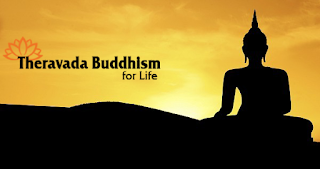 But Lord Buddha also discoursed that one day the Buddhism will extinct because of poor Dhamma and Discipline. To keep the Buddhism safe for even more day, every Buddhist have to protect the virtue and practice devotion. This is the best offering for the Lord Buddha. By the help of this meritable deed, everyone will go towards the understanding of Dhamma.